The Premier”s Office Revolving Door Revolves ! Pretty Soon these people will be running into each other! Once again the hot corner in Politics proves to be working in the Premier’s office. I am not going to speculate what may have happened,there are enough different versions on different mainstream and non mainstream media websites. What I will do is question why it took two weeks to complete the resignation if he apologized immediately and ask why the premier is not coming clean once again. I understand Mr.Boessenkool’s family reads but what’s worse: Knowing the truth or reading all the rampant speculation. The best thing of course would be for Ken to make a statement and clear the air so to speak unless of course there is more to this than meets the eye. This of course is yet another black eye on the Clark Government, a black eye that will get worse until the cause is released. Of course Clark’s new replacement also has some explaining to do. If this just all happened this Last night/this morning why would you give up a stable career job as board chair at BC Hydro for a job that will probably die out by May 2013 at the latest? Is there more here than meets the “Black” eye? Posted on September 24, 2012 Categories BC Politics, nationalTags B.C. 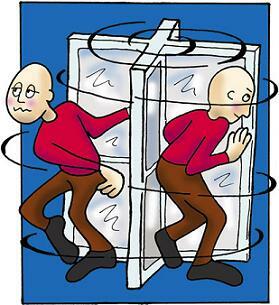 Liberals, Christy Clark, gaffe, Ken Boessenkool1 Comment on The Premier”s Office Revolving Door Revolves !